With prices on your everyday grocery products rising and continuing to rise people are worried, stressed and ready to find ways to not go broke just buying their families food. 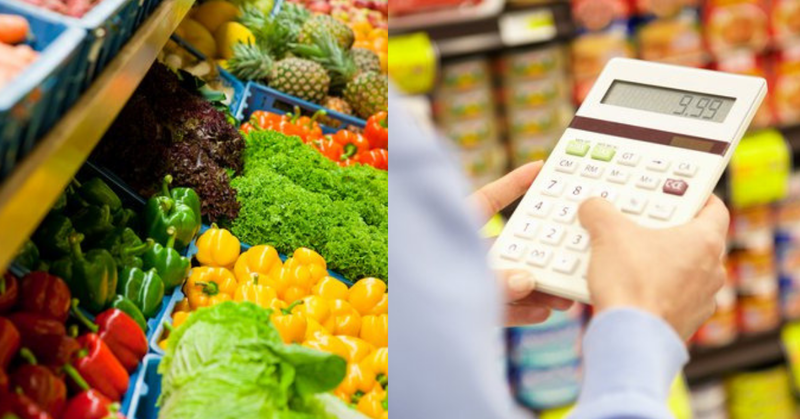 There are a few ways to combat the rising cost of food in Canada, by using the resources we have at our disposal and using them consistently. Tweaking a few habits can really add up to saving money on your groceries. Early mornings is the best way to shop at the grocery stores. Clearance meat and products go very fast and are usually gone within minutes of a grocery store opening. Yes clearance meat is safe as long as you freeze it or use it immediately. Use this more than ever before. We can no longer afford to be too polite or too nervous to enforce our right to the scanning code of practice being acknowledged. If a grocery store has that policy use it. Too many times I have been behind someone in line at the grocery store or department store, and I hear them say that's not the price it was marked at on the shelf. The store staff check and adjust the price...But wait...Why aren't they asking to get it FREE now that it scanned in the wrong price??? Most people are unaware that if they are shopping at a store that follows the Scanner Price Accuracy Code, that if a product rings in at the wrong price you can get that product free up to a $10 value. I can not even count the amount of products I have got free at Walmart thanks to the scanning price accuracy code. If you download the Walmart price scanner app you can find mis-priced products quite often. Visit your local grocery stores early and by early I mean when they open. Reduced meat is always put out first thing in the morning. There is absolutely nothing wrong with reduced meat other than the fact that the store must have it off the shelf. Reduced meat needs to be frozen that day for later use or cooked by the date recommended on the package. You wouldn't believe the deals I have scored on steaks, roasts, bacon and ground beef buying reduced. Adding other ingredients into your ground beef will make a meal go much further. There are a few ways to do this and I am sure you can come up with some of your own. Grated vegetables - Any that would go nicely with the meal your making. 3/4 of a cup of filler ingredient per pound of ground beef is the best. If you have stumbled upon some reduced meat or a great sale stock up on it. Freezing the meat properly can keep it safe for ages. Freshco often has their pork loins on sale for insanely low prices. I buy 4 and cut it down and freeze it. I get 16 meals out of 4 large pork loins. Having a small freezer is a great way to stock pile on meat when the prices are unbeatable. Watch prices closely. For a family size pack of ground beef, you are paying less for more meat. Avoid small single packs of meat. Always look for larger packs with a higher yield of meat for less money. Separate large packages of meat right away and break them down to get 3 or 4 meals from a large package if not more. For 3 months jot down the prices you are paying for meat. Starting learning your store's price cycles and when prices are the lowest.You will be able to know when and when not to buy meat at all. Cash back apps are a couponers drug of choice. But using it the right way is so important to getting to most out of them. Go shopping get home , check out Caddle & Checkout 51 to see if there is anything you can get cash back on. The FINAL step: Go to Swagbucks print your grocery coupons because you are going to earn when you print and earn when you use the coupon. This means not only have you gotten cash back on a product, you have used a coupon to save money then got paid again with Swagbucks for using it. Your savings can soar using this method. You can save yourself lots of money by starting to shop for certain things online with Amazon. You can get paid cash back with 3 different programs. Simply pick the one with the highest percentage of cash back on the day you make your online order. I stopped paying for Toilet paper and laundry soap over 4 years ago and will never pay for it again. Earning free Amazon gift cards online is not hard to do, and all free gift cards earned are used to get all our products totally free and then get cash back on free! If you use the subscribe and save on the products you need monthly you save even more cash!